We are passionate about three things – client relationships, the learner experience and business success. This informs everything that we do. We recognise that there is no ‘one size fits all’ solution and that while some learners prefer to resolve challenges through their peer network and social learning, others still respond best to collaborative classroom experiences where they can be more physically invested in the exploration of a topic. 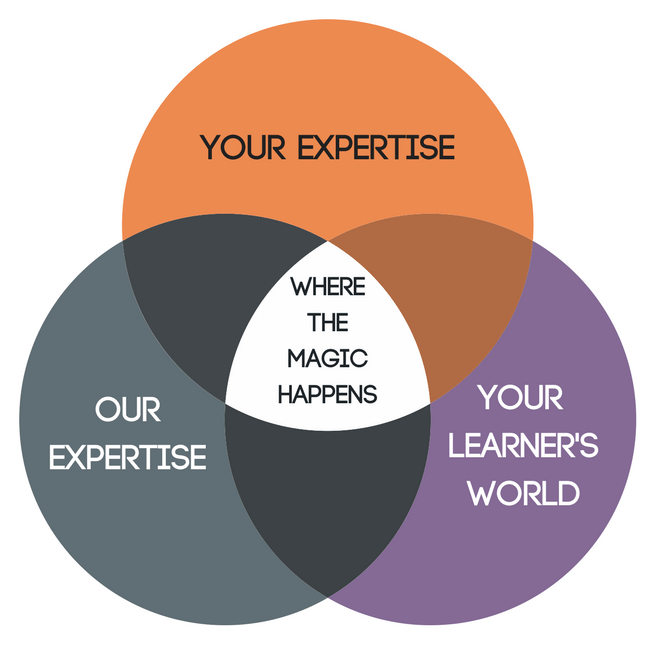 Wherever your learners sit on this spectrum, and whatever methodology we adopt, our approach is to engage, enable and empower learners to embed learning and optimise results. Ensuring people understand the relevance and context for learning. Provide transfer tasks for the workplace. Connect people and build peer networks. Help managers to support and encourage. Measure outcomes so the business understands how learning has added value. Our approach combines your knowledge of your business, your learners’ ideas on how they prefer to learn, and our expertise in how people learn and apply new skills. In this way, we are able to discover the ‘sweet spot’ that produces results. And what sets us apart is our focus on collaborative and innovative design, management of the end-to-end learner experience and our evaluation metrics. All contributing to truly customised solutions that meet the specific needs of your business. Our Facilitators are skilled in a variety of powerful facilitation techniques. We are committed to creating the environment in which every participant can learn, not only about the topic in question, but about themselves and how they can improve. "My thanks really are genuine: without the efforts of yourself, your team and your people we could not have delivered what we have delivered"